Please scroll down to watch this week’s show and all previous shows. At Chicago Newsroom, we like to talk about the week’s local news and about local journalism. We think of our show as a conversation about this week’s Chicago. You can watch Chicago Newsroom on CAN TV. 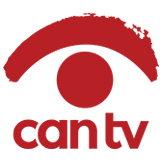 Chicago Newsroom is produced at CAN TV, and runs on CAN TV 27 at 6:00 PM every Thursday night, with rebroadcasts at 9:00 AM the following Friday, 6 PM the following Saturday and 9:00 AM on Sunday. 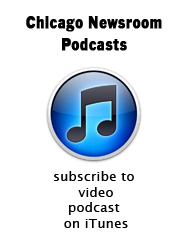 Chicago Newsroom is pretty good radio, too. It’s always great to plug in the earbuds and enjoy the show while you’re walking, working or commuting. Check out our SoundCloud page at right. It’s politics and open lands on Chicago Newsroom this week. Producer David Resnick joins the discussion as political and communications specialist Peter Cunningham talks with us about the immediate political scene in Chicago. We ask, in light of today’s news that Chicago has suffered yet another population loss, if Governor Rauner was right when he blamed the exodus on excessive tax in the state. Cunningham also talks about how Lightfoot’s election was a curious “north-side revolution” and how it represented a hard-to-define anger in majority-white sections of he city. In our second segment, Openlands CEO Jerry Adelmann talks about the environmental challenges the Chicago region faces in the coming years. And there are lots of them. He talks specifically about the challenge of recovering degraded lots or former industrial spaces, for example. “Well, he says, “One of our founders said early on you have to save a site at least three times, because there’s always threats and issues and things.” Reclaiming a site and then maintaining it for years afterward, he explains, is an enormous challenge. Adelmann also talks about Openlands’ involvement in the struggle to save Deer Grove Forest Preserve from a move to expand a two-lane road to a massive five-lane quasi-expressway. And he laments the fact that Chicago is falling behind in street trees. You can watch the show by tapping the image above. You can listen to the show on Soundcloud here. 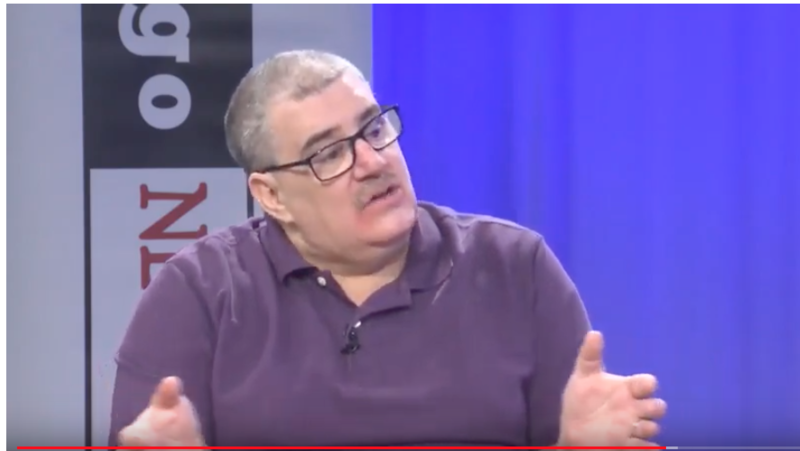 The Klonsky Brothers – Fred and Mike – pay a visit this week to discuss the Lincoln Yards dust-up, and whether Lori Lightfoot got “played” by Rahm Emanuel. At the last minute, it was reported that she acknowledged the vote would go forward – there were more than enough votes – after she extracted from the developers a few more minority/women set-asides. Fred and Mike are solid supporters of Lightfoot, and they’ve been fending off attacks from their left, claiming that Toni Preckwinkle was the more progressive candidate. They defend Lightfoot in this discussion. They also discuss the nearly one billion-dollar pension hole that Mayor Lightfoot will have to tackle. And Fred is adamant that the pension payments he and his colleagues receive aren’t the cause of the deficit. It’s the massive obligations to banks to pay off the loans the City had to take out to compensate for the years when the city skipped its payments. We ask the Klonsky’s whether they share the concern Bill Daley raised during his campaign that Chicago must work to rebuild its population back to the three million mark. If that is a priority, then wouldn’t mega-projects lie The 78 and Lincoln Yards help attract new residents? Fred’s response is adamant. Watch the show by tapping the image above. Delmarie Cobb, Bruce DuMont and A.D. Quig visit the show this week to put Lori Lightfoot’s election into perspective. Delmarie Cobb has been a political activist and consultant for decades, ands consulted with two aldermanic campaigns this time, including Leslie Hairston in the 5th Ward. Bruce DuMont has been a political commentator and talk show host, also for decades. He currently hosts Beyond the Beltway. A.D.Quig reports on all things political for the excellent subscription news service The Daily Line. The panelists tackle the City Council’s changing composition, as five Democratic Socialists take their seats and some old lions fall by the wayside. If Mayor Lightfoot makes good on her pledge to end aldermanic prerogatives and if she allows more leeway for aldermen to make their own committee selections, the City Council could be come a far more legislative (and interesting) body in the coming years. Sarah Karp (WBEZ) leads off with her coverage of alternative schools and the significant role they play in boosting the graduation rate at CPS. Turns out that, although CPS has made important improvements in the past few years, the truth is hidden somewhere in the statistics. In the second half of today’s show, Kenwood-Oakland Community Organization executive director Jawanza Malone talks with us about the critical need for a community benefits agreement to be hammered out before construction of the Obama Presidential Center gets out of the ground. He also tells us that there’s pretty much no community support for the Tiger Woods-designed PGA golf course in Jackson Park, and he can’t muster the enthusiasm to endorse either mayoral candidate. It’s a double header this week as we’re visited first by the great Maya Dukmasova (Chicago Reader) and then by former Mayoral candidate Paul Vallas. Dukmasova expresses some surprise at the strength of the resistance to two big votes yesterday in the City Council. “It’s for the generally spineless City Council that tends to vote 100% with the mayor on whatever he wants – this is a pretty significant amount of opposition,” she reports. We’re talking about the twin votes on Lincoln Yards on the north riverfront and the Police Academy in West Garfield. Lincoln yards passed 33-14, and the police Academy passed 38-8. We point out that, despite the activism, voter turnout, particularly in the West side wards adjacent to the future Police academy, was dismal. So it will require a great deal of stamina for these younger activists to see tangible results from their activism. We ask if she’s observed that there is a slowly-emerging ideological split between progressives regarding whom to support in the Mayoral runoff. We’re just over two weeks away from the Mayoral election as this is recorded, and we asked Dukmasova for, if not an outright prediction, where she thought things were trending. Note: Maya Dukmasova’s interview is the first 30 minutes of this program, and the Paul Vallas interview begins at about 30:00. You can watch this program by tapping the image above. Paul Vallas believes fervently that the pension funding crisis doesn’t have to be a crisis. He agrees that, over the next four years, the City has to find about billion extra dollars to meet pension payment obligations, but he says that can be done without raising property taxes. As Hertz says in his narrative: if you take a closer look the benefits themselves aren’t what’s driving the pension debt crisis, rather it’s pension borrowing, a failure to pay in full for the benefits earned in prior years has led to a situation in which the city is not only paying for new benefits every year, but billions of dollars for benefits that were earned in prior years. So our problem isn’t that we’re paying too much in benefits, it’s that because we were irresponsible about making payments for years, we now owe a billion extra dollars in interest to the banks. First, Vallas says, “they’ve got to bring some sort of financial accountability to the investment practices.” There are hundreds of various funds that invest pension moneys in hopes of using the dividends to augment the pension funds. But that’s not what’s happening, he says. Chipping away at “funding inequities” with the State could get the total down to less than $500 million, he claims, asserting that reprogramming a City budget that (depending how you describe it) is between 7 and 20 billion a year, can yield a half-billion that can be used for this purpose. So before the deadline hits, Vallas thinks the billion dollars can be found without new taxation. It’s a complicated presentation, and Paul Vallas is among the world’s fastest talkers. But he’s offering the two remaining Mayoral contenders his best advice on how to get out from under what he calls the “Sword of Damocles” as one of their first actions. Watch the show by tapping the image above, and moving the pointer to 30:00. Willie Wilson and Ja’Mal Green dropped by today for two separate interviews about the Mayor’s race, a bunch of Aldermanic races, Bernie Sanders and the role each of them is playing in this important period – after they didn’t make it to the Final 2. Both are planning to endorse either Preckwinkle or Lightfoot. Wilson’s making his official announcement tomorrow, Friday. You can watch the show, with both interviews, by tapping the image above. Here’s our election wrap-up with talk host and political analyst Bruce DuMont and political activist Jacky Grimshaw, who was an advisor to Mayor Harold Washington. The journalists on our panel are two of Chicago’s most respected reporters – The Daily Line’s AD Quig and the Tribune’s Bill Ruthhart. Tap the image above to watch this show. You can listen to the audio of this show here. We’ll be updating this post on Friday with quotes from our panelists. Two of Chicago’s most knowledgeable political reporters join us this week for a head-spinning discussion about the crazy municipal election we’re all enduring. WGN-TV’s Tahman Bradley and the Daily Line’s Heather Cherone say there’s never been an election like this in Chicago – literally. That’s because this is only the second runoff-style election we’ve ever had, and the other one was headlined by incumbent Rahm Emanuel. He led decisively enough that there was never doubt that he and challenger Chuy Garcia would be the two runoff contestants. But this time, with fourteen candidates, the percentages are being sliced so thinly that the final outcomes may be determined by mail-in ballots, and those won’t be counted until perhaps a week after the election. Add to this the fact that at least ten of the aldermanic races are highly contested, and several well-entrenched aldermen could find themselves losing to upstarts. We talk about how a much younger and more inexperienced Council, possibly in conjunction with a less-experienced mayor – will face the responsibility of redistricting the Council immediately after the 2020 census, and that the widely reported vast reduction in the population of black Chicago could mean the loss of two African-American-majority wards this time. There’s also an interesting discussion about whether the new Council could become more progressive in its politics as newer, younger aldermen come into their own. But that’s something that very much has to play out over the next two years or so. And Cherone, in her own explanation for Daley’s apparent rise to the top, says we all have an innate sense that Chicago is not governable, and that it takes a strong-man figure to hold things together. And that, she says, has a lot of people thinking – hey, maybe we need another Daley. At the end of the program we ask producer David Resnick to come to the table to explain in detail why there’s so much concern that this election’s results might not be apparent until days after the polls close. We can’t explain it all in this written document, but it’s well worth your time to hear Dave lay it out piece by piece. His appearance begins at about the :40 minute mark in the program. In a searing suite of articles and digital posts over recent months, ProPublica Illinois’ Melissa Sanchez and WBEZ’s Elliott Ramos have laid out for us the particulars of the City’s program to punish “scofflaws” who fail to pay city sticker fines or tickets for red light cams and license plate stickers. And the costs don’t stop even after you permanently lose your car. “On top of everything else that we talked about,” Sanchez continues, “You have to pay the crushing fee even if the city sold the car to the towing company and the towing company could have sold it at auction and made a profit. That doesn’t matter.” The crushing fee is $100. Sanchez laments that, as debt and bankruptcy began to soar, the City’s response was to try to insure itself against loss of revenue from citizens who’d declared bankruptcy. And there’s yet another aspect to City-related tows. We’ve already seen from these reports that 50,000 cars have been booted, towed and sold for scrap by the city since 2011 – just during the Emanuel administration – but Ramos says that’s just a small portion of the total. And this issue of City-induced bankruptcy goes deeper than sticker fees. Ramos tells us that the team is starting to look into a number of unrelated fee escalators, and how they may play some role in Chicago’s declining population. The City, he says, raised a lot of different fees. One final note: As a direct result of this series of reports, all fourteen mayoral candidates have said they will work to modify the system of escalating fees, fines and impoundments that have been sending thousands of Chicagoans into bankruptcy. WBEZ’s story on how quickly a Chicagoan can descend into City-induced bankruptcies is HERE.